In the span of five months, Seven Lions created his own record label and released multiple hits, including his first on the new label, “Calling You Home.” The Seattle-based producer’s next big move comes in the form of a tour Jeff Montalvo will be embarking on for the latter half of 2018. 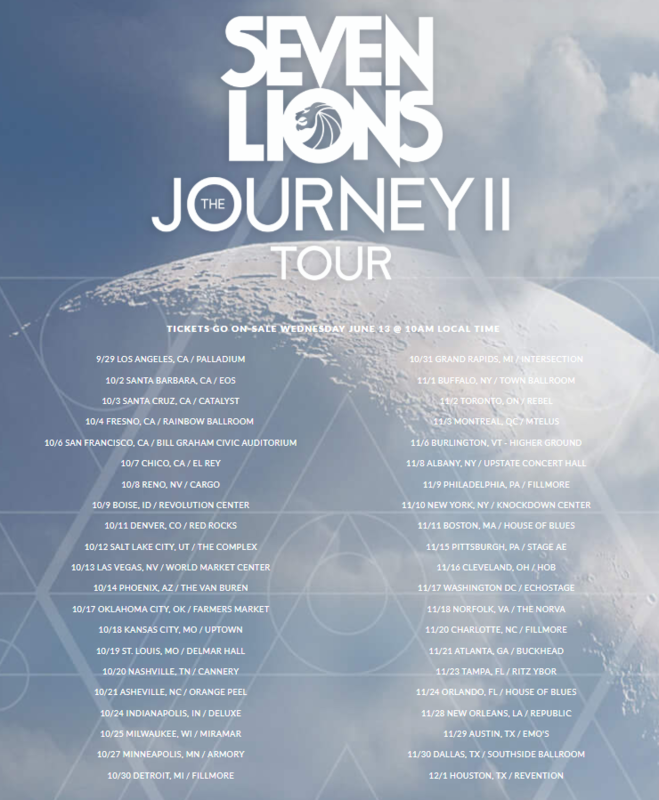 Dubbed The Journey 2 Tour, the 42-city excursion is for all intents and purposes meant to be an extension of his 2016 tour, “The Journey.” The original intention behind Seven Lions’ Journey touring concept was inspired by the millions of young people who are taking it upon themselves to create their own adventures and embark on their own personal journeys of discovery. The Journey 2 will travel to 42 US cities beginning in Los Angeles, CA at The Hollywood Palladium and ending with a tri-city stop in Texas.